How amazing it is to have five full days of school in a week! As joyous as the holiday season is – both here in school and at home – it is a lovely thing to be able to resume the regular rhythms of school. 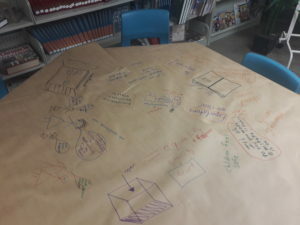 This time of year it almost feels like a second beginning to the school year as we are now able to fully inhabit schedules and string together sufficient contact time to bring meaningful projects to life. 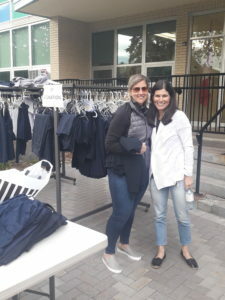 It is also wonderful to have put behind us much of the business of carpool lines, Google Classroom, hot lunch, parent communication procedures, PTA structure, behavioral expectations, care of the physical facility – so many of the preconditions for the transformational work ahead are sliding into place that we can take a collective breath and move forward. Doesn’t OJCS currently have a Jewish mission/vision? 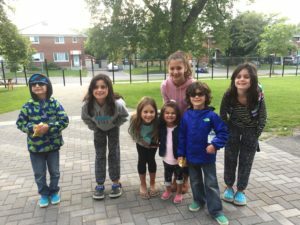 The Ottawa Jewish Community School is dedicated to enriching the life of its students along with strengthening their character and instilling their love for Israel. Inspired by Jewish values and heritage, a love of learning, and guided by teaching excellence, students reach for their potential, in order to become the leaders of tomorrow, and responsible citizens of the world. 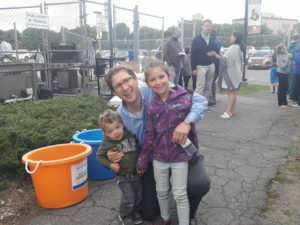 The Ottawa Jewish Community School is an all day, trilingual elementary school that aims to develop academic and personal excellence in its students, in an inclusive, caring, and pluralistic environment that is based on Jewish religion, culture and values. RESPECT, RESPONSIBILITY, REACHING FOR EXCELLENCE. 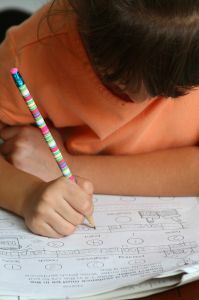 Talmud Torah / Love of Study: Lifelong learning rooted in Jewish and secular studies, emphasizing critical thinking, problem solving and creativity. Kevod HaBriyot / Respect for Humanity: Living and learning in ways defined by decency, kindness, respect for oneself and others, and honouring diversity. Ahavat Yisrael / Love of Israel: Centrality of the State of Israel to Jewish identity, and a deep connection to its people, land, and history. Chashivut HaIvrit / Importance of Hebrew: Recognition of Hebrew as a living language, integral to Jewish life, and an essential link to Jewish texts, prayer, and modern Israel. Tikkun Olam / Repairing the World: Instilling social responsibility and an engagement with the global community built upon the foundation of tzedakkah (charity), chesed (good deeds), compassion, and courage. Mi Dor Le Dor / From Generation to Generation: Fostering Jewish continuity and instilling Jewish identity and a sense of peoplehood by transmitting traditions, participating in rituals, and engaging with the Jewish community at home and around the world. There are many ways OJCS could seek to live this value. What does “recognition” really mean? Does it mean that all students should learn to speak, read and write modern Hebrew? Does it mean that all Judaics classes should be taught with Hebrew as the language of instruction? 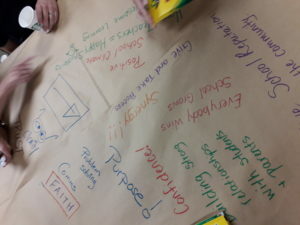 What are the outcomes for Hebrew literacy that parents should expect through this core value? Without further clarification, it is hard to know. …pluralistic environment that is based on Jewish religion, culture and values. What does OJCS believe to be true about “pluralism”? What is a “pluralistic environment”? Does it mean recognizing the diversity of our students as an audience? Does it mean the responsibility for creating experiences reflective of each denominational affiliation (as well as unaffiliated)? Are we a melting pot? A stew? Individual bowls? OK, so we go ahead and clarify our values. Is that the task? Time is a zero sum game. So even if/when we clarify each value and/or add new ones…how do we know what to prioritize by way of our time and outcomes? 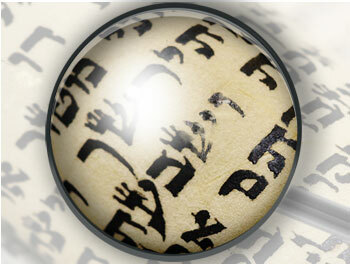 Is Hebrew the most important academic subject within Jewish Studies? You might think so by virtue of its mention in the overall mission as a “trilingual” school. But is it? And should it be? It is likely true that our school would look very different, especially at the K-5 level, if Hebrew literacy was the highest value. 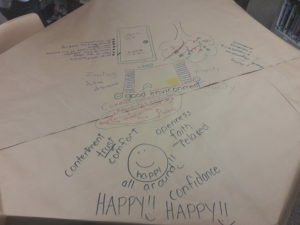 What does this have to do with the day-to-day teaching and learning? Unlike the work we do in secular education (which will also require revisiting and re-clarifying), there is no external set of benchmarks and standards that we are required to follow. There are no universally adopted textbooks or curricular materials shared by all Jewish day schools (or even by traditional groupings of Jewish day schools). We have to translate our school’s mission-vision-philsosophy into self-created (or borrowed) academic benchmarks and standards. We have to build a schedule around those outcomes. We have to choose curricula based on what we believe to be true about teaching and learning. Etc. But the school is 69 years old. Surely it already has all of those things. Like we have discussed in prior posts, the school has frequently added layers of program on top of program…it has done a great job of cluttering…not the best job of de-cluttering. So, yes, there are written descriptions of different strands of our Jewish Studies curriculum, but there really is not one coherent document – either for internal or external purposes – that actually describes what we do. And that’s a problem. 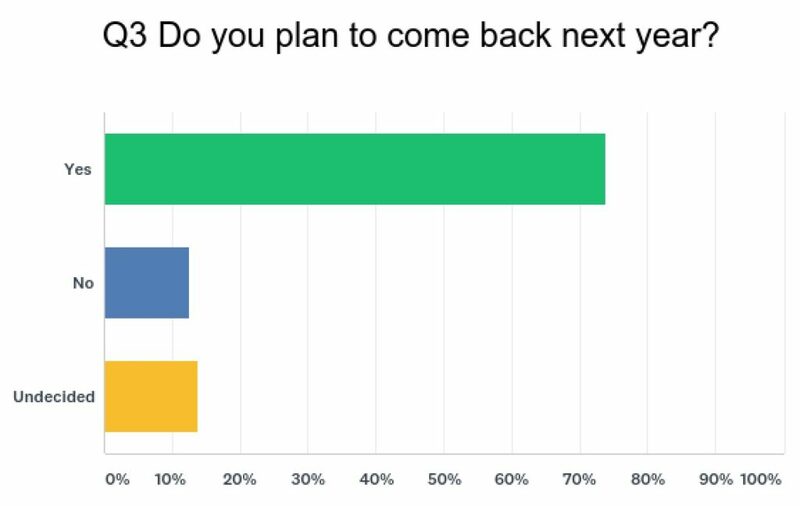 By the way, it does not mean that excellent teaching and learning isn’t happening in each of our grades in Jewish Studies! No one should think that this is some kind of lost year. 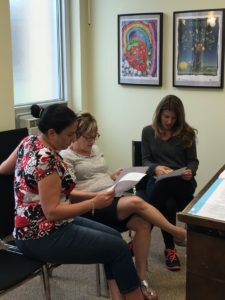 We have talented and dedicated teachers working hard to provide a high-quality rigorous Jewish academic education and meaningful Jewish experiences. Good things are happening. But we need to move from “good to great”. How will the work of clarification take place? That’s where you (will) come in. There are a number of critical stakeholder groups that we will call upon to contribute to this work. They include our community’s rabbis, soon to be invited to an Ad-Hoc Rabbinic Advisory Committee. They include our Jewish Studies Faculty, already beginning to do its due diligence on what was, what is and what could be. They include our institutional partners, synagogues, our pipeline schools and Federation. And they include our families – current and prospective. Vehicles will be created to onboard the feedback and recommendations from all these critical stakeholder groups. The process through which these groups form and do their work will be shared and transparent. 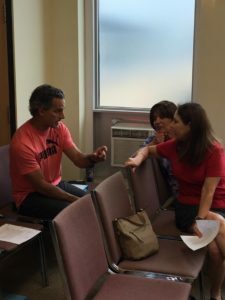 The feedback and recommendations will ultimately go to the OJCS Board of Trustees who, ultimately as charged by their role, will (re)establish the Jewish mission and vision for OJCS. That, too, will be proudly and transparently shared out with our full community. With that clarification will come the charge to the administration and faculty to bring that mission and vision to life. And, surprise, that will also be transparent. If we are passionate about this, what can we do in the meanwhile? Talk about it! Share your thoughts! (Comment on this blog post.) Make an appointment to come see us. What can be better than talking with people who are invested in our Jewish mission and vision? What topic can be more important for us to discuss? At the end of the day…there is no reason for this school to exist if not for the “J”. We realize that that doesn’t necessarily mean that the “J” is everyone’s first priority. But, still. There is no reason for OJCS to be a Jewish day school, if not to be Jewish. Not Jew-ish. Jewish. What does that mean? We’ll find out together. 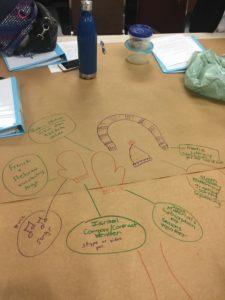 I recently described in a post an activity we did as a faculty which introduced Roland Barth’s concept of the “non-discussible” and the “discussible”. A “non-discussible” is something that is discussed in all the wrong places and all the wrong times preventing the issue from being resolved in a healthy and constructive manner. 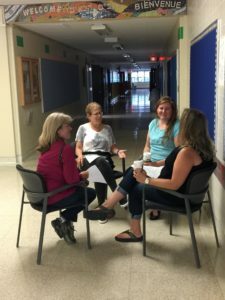 In the context of faculty, it is about all the things teachers talk about in the lunchroom instead of with the administration (although the administration almost always knows the conversations are happening about them/without them). In the context of parents, it is about all the things folks talk about in the parking lot or on social media instead of with the school (although the school almost always knows the conversations are happening about them/without them). In both cases you gauge the health of the culture by the degree to which you move your “non-discussibles” into “discussibles”. The more willing we are to discuss what matters most in a constructive, healthy, transparent manner with the people who have the ability to address those issues honestly and responsibly, the healthier our culture. The healthier the culture – whether we are talking about teacher-administration or parent-school – the more successful the school. The basic idea (and I realize that I am butchering it for the sake of brevity) is that when we treat others as objects, we are in an “I-It” relationship; when we treat others with recognition of the divine within them – when we acknowledge that we are all created in God’s image and treat each other as such, we are in an “I-Thou” relationship. Taking a deeper step (according to this idea) would be to say that when we treat each other with love, we invite God’s presence into our relationships. Not merely as metaphor, but as an existential fact. Our success in building a culture which facilitates the transition from “non-discussible” to “discussible”, I would suggest, will be determined by whether or not we see each other as “Thou’s” and not “It’s”. Have we done the work necessary from the start of school to develop “Thou” relationships with our teachers? With our students and their parents? We’ll know if we are able to identify the good that comes with each student and share it with his or her parents. We’ll know if we are able to share the difficult truths which are our responsibility to share and have them received in the spirit in which we will surely wish it to be received. We’ll know if we are able to hear difficult truths about ourselves in the spirit in which they will surely be given, the spirit of genuine partnership where only the wellbeing of the child is important. The spirit of seeing the best in each other, even when it takes a little more energy. The spirit that exists when we see each other as a “Thou” and not an “It”. Finally, during these days between Rosh Hashanah and Yom Kippur we engage in the act of teshuvah – the complicated act of acknowledging past wrongs, correcting past mistakes, promises of changed behavior, etc. Here, in the most public of forums, please allow me apologize to all those I have wronged or hurt, intentionally or unknown over the past year. Easy fasts for all who do so…meaningful reflections for all who feel the need. I regret all the snarky things I ever said about traditional starts to the school year after Labour Day (you see how I spelled that Canada?). I am so happy we (all) have a wonderful holiday weekend to rest up for the start of an amazing school year here at OJCS. It is the best kind of tired. The kind of tired that comes from having had two amazing days with our talented and passionate teachers. The kind of tired that comes from having fully shown up and being surrounded by others who fully showed up as well. The kind of tired that comes from emotional investment and spiritual nourishment. The kind of tired that inspires dreams of what we will accomplish together in this year of change. This was a positive and powerful conversation that will respectfully remain private. But I encourage any school, any organization, any company to see how it might improve the health of your culture. What anchors you in times of change? How do you stay connected to a larger sense of purpose? 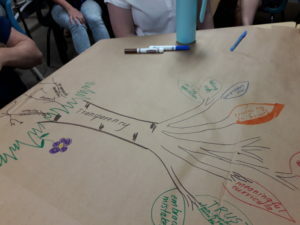 How do you think about your own core values and sense of who you are through times of change? In what ways does change enhance who you are? What are differences (if any) between how you react to changes you have initiated vs. those you are experiencing? 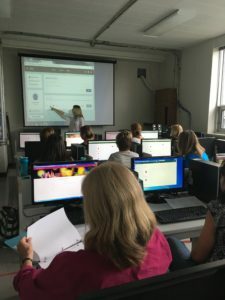 We believe teachers are learners just like students and, thus, deserving of personalization. 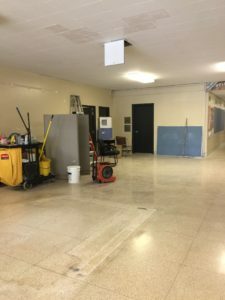 We will treat Google Classroom like a ladder…everyone needs to be on the first rung with all the training and support they need to get there. But you can climb as high as you like/can! PSST! Why am I giving you so much detail about Google Classroom? Because it is where you will need to be. We’ll talk more at Back to School Night. 3:00 PM Who owns the learning? Who owns professional growth? Thanks to PTA for sponsoring our largest Welcome Back BBQ in years! Thanks to Jennifer Greenberg, our Recruiter (Admissions Director for you Americans) for all the time and hard work getting it organized. Thanks to Aaron Smith, our current Board President, and Trevor Smith who served as Grill Masters. Thanks to the JCC, Federation, Maintenance, Housekeeping and everyone who pitched in to make it so special! And that is why I am the best kind of tired. We start to tell the next chapter of the story of OJCS on Tuesday morning. Let’s hold ourselves and our parents and our students accountable to the highest standards. Let’s show up and be present. Let’s unleash our passion and our talent. Let’s be the best version of ourselves – the school we are capable of being and the one our children deserve. Rest up. Be ready. Be on time. Be excited. It is go time. We are, but 19 days from the return of our amazing teachers, followed soon thereafter by our incredible families and children! Can you believe it? Me neither! 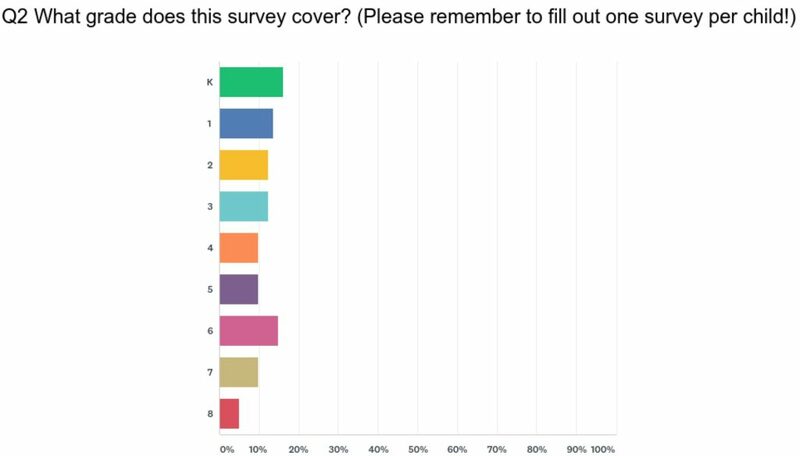 Readers of my blog know that any blog post that comes labeled “The Transparency Files” is likely geared towards a primary stakeholder group and that it will share information, ideas, news, issues, etc., that I assume are new, newsworthy, important and potentially worthy of conversation. If you search for prior “Transparency Files” you’ll find posts about homework policy, scheduling, behavior management, evaluations, standardized test scores, new programs, etc. You’ll also find introductions of faculty and staff. …talk very briefly about “transparency” as a core value. …introduce an exciting Core and Extended Hebrew Pilot for Grades 4 & 5. This much would normally occur over 2-3 posts, but because I have a sneaking suspicion that OJCS parents will be unusually interested in this post, I am going to pack it full and keep you (them) in suspense. 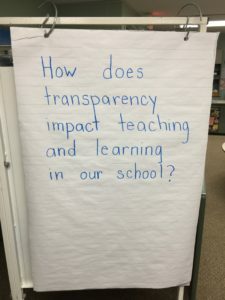 As I prepare for the return of teachers and students and the full opening of my third headship, I am more sure than ever that our success as a school will be directly related to how deeply embedded “transparency” becomes as a core cultural value. 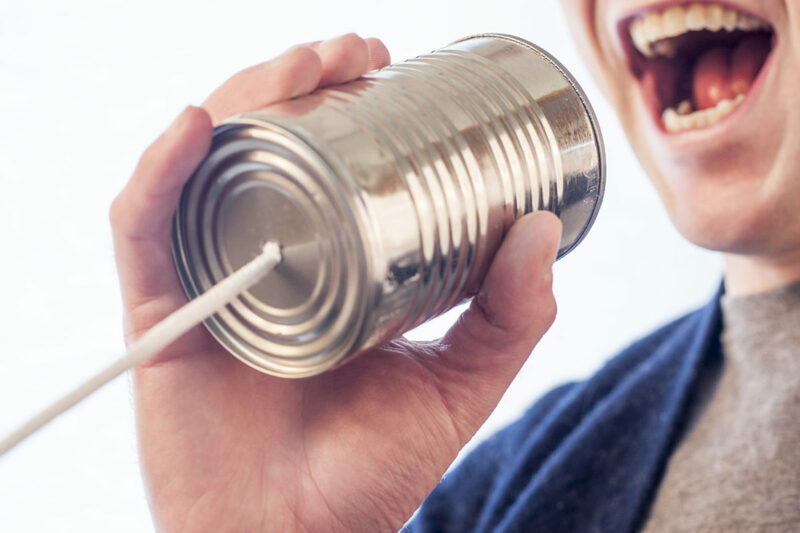 When I say “transparency” I don’t mean to imply a lack of discretion or oversharing; when I say “transparency” I mean to imply honesty, candor, open and healthy communication, trust, vulnerability and faith. Transparency requires relationship and demands respect. 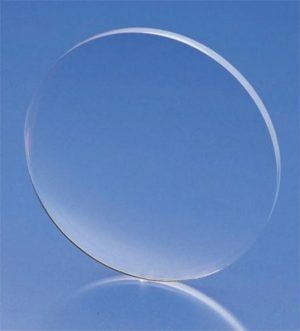 Transparency raises the bar. Transparency tears down walls and uproots silos. 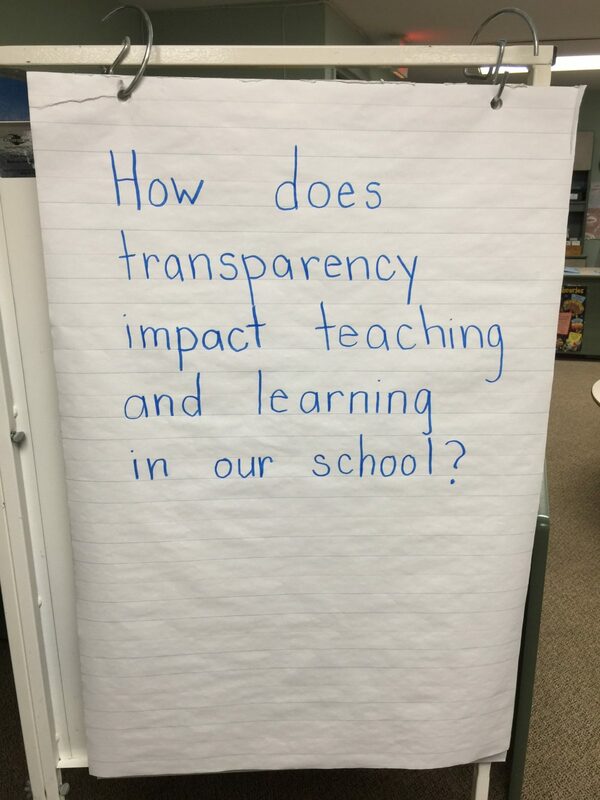 Transparency lives in the classroom and in the boardroom. Transparency forces clarity. Transparency means you don’t only get to share the good news. Transparency fosters humility. I take transparency seriously because it guarantees accountability. I believe in transparency because it engenders relationship-building. I have seen the power of transparency transform and the lack of transparency destroy. I cannot guarantee that all my decisions or ideas will be well-liked or even the right ones. (I can actually guarantee that they won’t be.) I can guarantee to operate in a spirit of transparency and I invite you to join me on the journey. 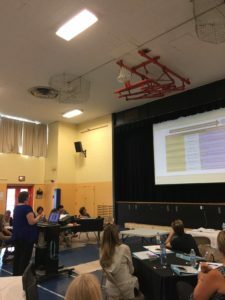 I must admit there is a bit of chicken-egg to this one, to be honest, because it was really the next item on the list (new teachers) that allowed us the opportunity to launch this pilot. Not that we wouldn’t have wanted to have done it anyway, but (again chicken-egg) it probably should have come as a more organic conversation about the role of Hebrew in our school and a larger conversation about revisiting our Jewish mission/vision – both incredibly important conversations that we will (transparently) begin this year. 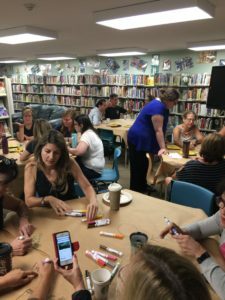 But when it dawned on us (and by “us” I mean Keren Gordon, our amazing Vice Principal and schedule-whisperer) that we might have a chance to pilot an enhancement to our Hebrew program…well…we couldn’t resist. As OJCS families know (hopefully! ), our French program goes deeper beginning in Grade Four with our “Core” students continuing to have a differentiated French language period and our “Extended” students adding on a second subject – Social Studies – with French as the language of instruction, thus providing an “extended” exposure to French. 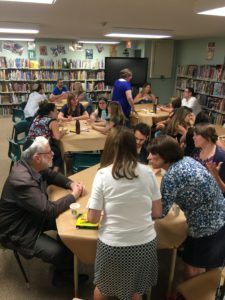 [Please note that I am purposely not launching the significant conversation-to-come about French immersion in this blog post, but that I am not ignorant of its pressing nature.] When it comes to our Hebrew program, however, we use the same “Core” and “Extended” terms, but with different meanings (I presume not only to confuse me). In Hebrew we have been using “core” and “extended” only to describe level, not contact time. That’s where the pilot comes in. With extraordinary gratitude to two of our master Hebrew Teachers, Ada Aizenberg and Rachel Kugler – both of whom gracefully and enthusiastically accepted a rather late-in-the-game adjustment to their teaching portfolios to take this pilot on – OJCS “Extended” Hebrew students in Grades 4-5 will, like “Extended” French, have one period of high-level Hebrew instruction and a second subject – Judaics – with Hebrew as the language of instruction, thus providing an “extended” exposure to Hebrew. Does this solve Hebrew fluency at OJCS? Nope! Does this clarify the Jewish mission/vision of OJCS? Nope! Will there be unintended consequences – both good and bad? Yup! This is a pilot – an opportunity to try something new and to learn from it. We absolutely think it is a step in the right direction to enhance Hebrew fluency at OJCS. We absolutely think it will contribute to the larger conversations coming. We are absolutely thrilled about it and hope you are too. And if you are an OJCS parent of a child going into Grades 4-5 and have questions, concerns, feedback, etc., I look forward to those conversations most of all. 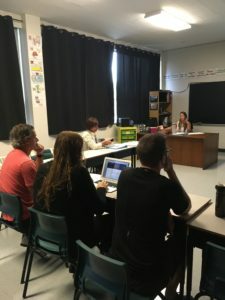 As of this writing, we have three new teachers joining our incredible faculty of returning teachers and I wanted to share a little bit about them so you can be as excited as we are. Lianna Krantzberg will be joining us as our Kindergarten Educational Assistant. Lianna has her B.A. and B.Ed. and may be a familiar face to OJCS families from her time here during her student placement or her work at Camp B’nai Brith Ottawa. Lianna brings new energy and new ideas and we are thrilled she has chosen to launch her career at OJCS. Shira Waldman will be joining us as our Kindergarten Judaics, Grade Four Core Hebrew, Judaics & Art, and Middle School Girls PE teacher. Shira has her B.A. and B.Ed. and may be a familiar face to OJCS families from her time working at Ganon Preschool. Shira brings extraordinary warmth, range and creativity and we look forward to what she will add to our school. Melissa Anders will be joining us as our Grade Six General Studies Teacher. Melissa has her B.Ed. and an M.A. in Educational Technology and will soon be a familiar face to OJCS families. Melissa has significant experience teaching in Jewish day schools throughout Canada. Melissa brings a remarkable set of skills and we look forward to her contributions to our growth as a 21st century learning organization.